I've been to Barcelona a few times before but not recently so I was really excited when Casa Batllo invited me to visit for the celebration of Sant Jordi festival. I am a huge fan of Gaudi architecture (if you don't know him - he's the mastermind behind Sagrada Familia and of course Casa Batllo) but when I heard that this amazingly beautiful building will be decorated with roses I was ready to start packing my suitcase straight away! Why roses you may ask? According to the tradition, the people in Catalonia celebrate the day of their patron saint, Sant Jordi, with couples exchanging gifts: a book for men and a rose for women. Lots of couples follow this tradition so the whole city is filled with flower and book stalls. 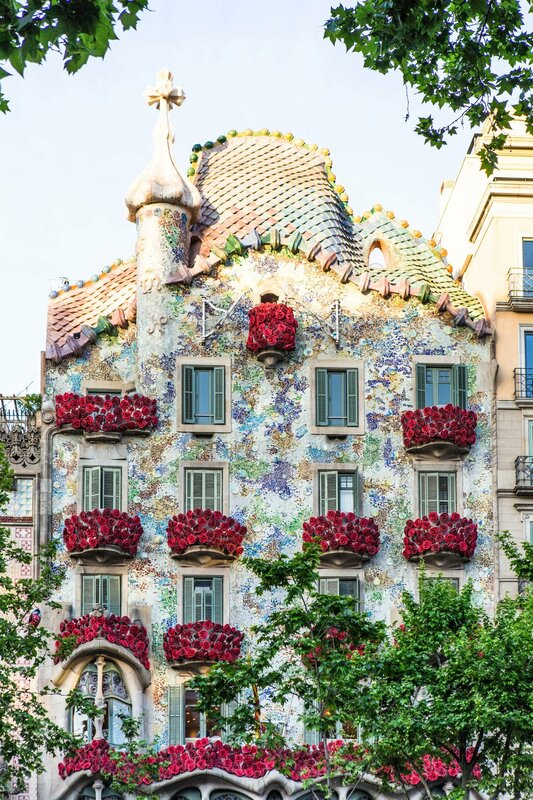 Casa Batllo is a remodel of a previously built house, redesigned in the beginning of the twentieth century by Gaudí who found his inspiration in flora and fauna, and created a very unusual look of the facade. 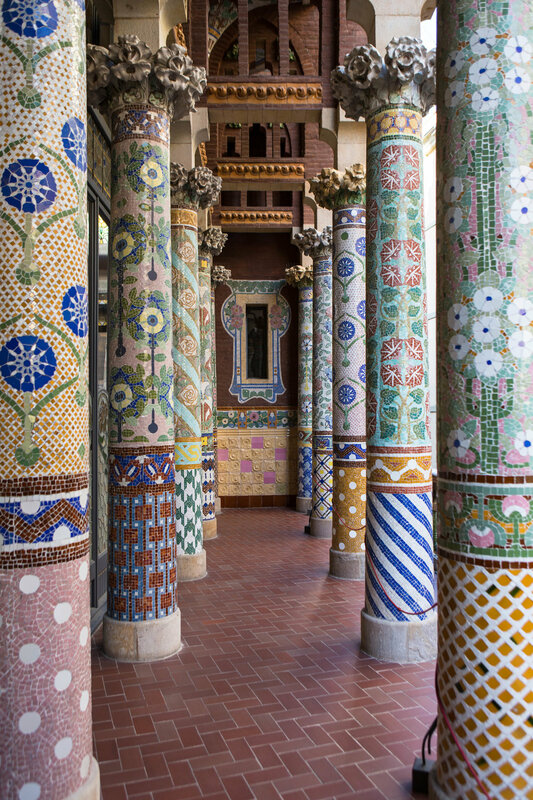 Casa Amatller is a neighbour of Casa Batllo and is often overlooked but it's well worth a visit too! Palau de la Musica Catalana is a place I wanted to visit for a very long time. It is a wonderful example of Catalan Art Nouveau, the only concert venue in this style to be listed as a World Heritage Site by UNESCO. The pictures speak for themselves - just look at all the gorgeous details! El Nacional Barcelona is a wonderful experience of its own. 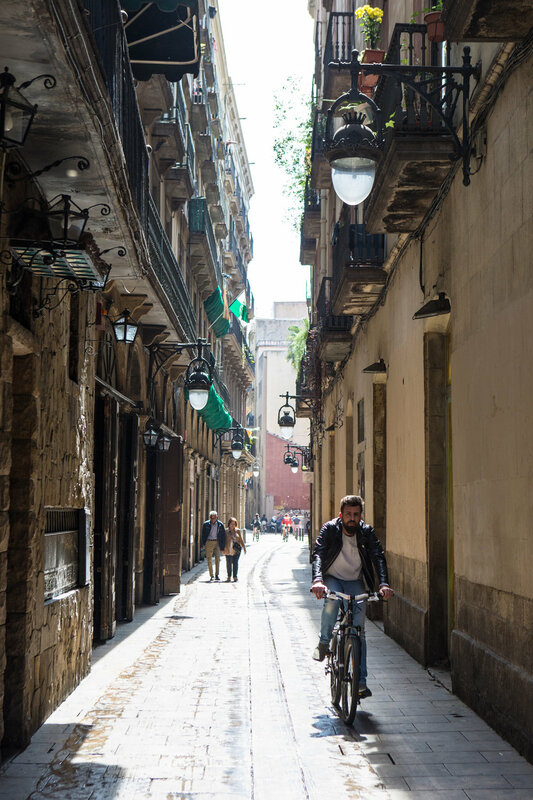 The space, that used to be a car park, was transformed into 4 restaurants and 5 bars, all under one roof, offering traditional recipes from the Iberian peninsula. 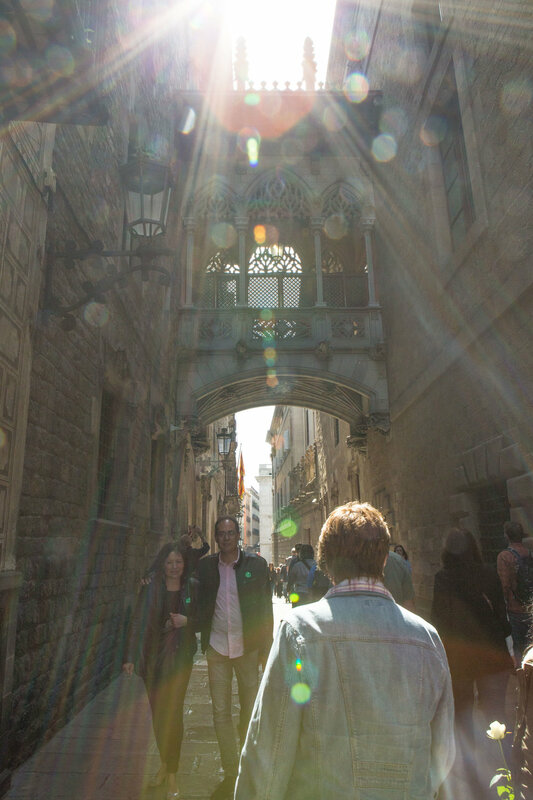 We stayed in Hotel Alexandra, just a few minutes walk from Casa Batllo. 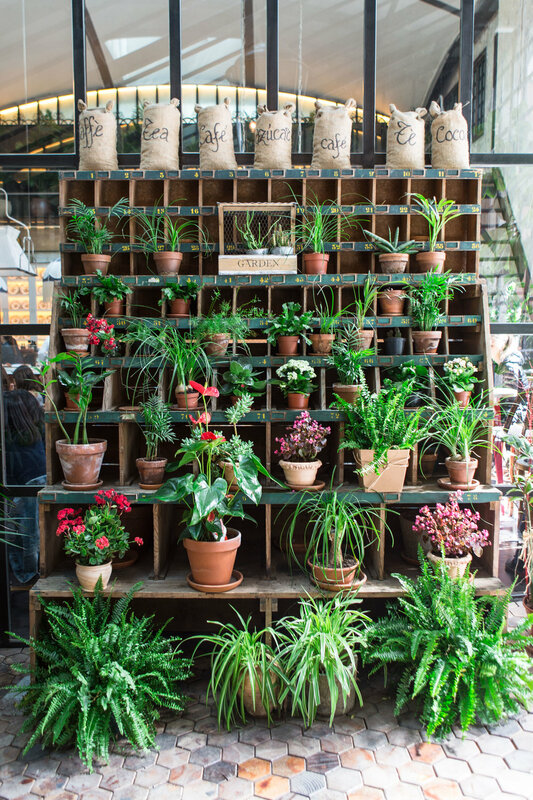 Of course I couldn't leave Barcelona without having a look at this Instagram famous facade covered with plants and strolling through Gothic quarter. I've also popped into Hotel Barcelo Raval to enjoy the view from their roof terrace. Cotton House hotel is another beautiful space with an amazing spiral staircase. I was a guest of Casa Battlo, all opinions are my own.